The children at Waingels day nursery enjoy a diverse range of sports and social activities. The Nursery is situated in a new purpose built, single story property within the grounds of Waingels College. There is plenty of parking for dropping off and collecting your child. We also have storage assigned for prams, pushchairs and scooters. We have a secure outside play area with artificial grass, for children to ride bikes and scooters, play in the sand pit and enjoy a variety of different activities. We also have a nature area for children to explore and learn about growing plants and vegetables. We like to take the children out for walks in the local area. We walk to the park in small groups or visit the local shops to buy ingredients for cooking. The children are also taken out on trips to the farm, the local theatre and the library. Woodley Gardens Day Nursery has been amazing from day one. My son settled in much quicker than at a previous childcare provider, which put us a ease and made us feel that all his needs were met and exceeded, he even takes naps. My son loves his key worker and all the staff. I actually look forward to him going as I know he’ll do something fun like go to the park or do water play, that he doesn’t get to do at home. He’s learnt lots already like feeding himself and drawing. All the children are treated as individuals and all the staff are dedicated and caring. My son has food allergies and these are catered for without a problem. I wouldn’t hesitate to recommend woodley gardens day nursery. It has made my return to work much less stressful. Forbury Gardens Day Nursery was established in 1991 and is situated in Reading town centre, very close to the railway station. It was our first Nursery of the group of five to open and we are proud to announce that Forbury’s latest Ofsted inspection in May 2015 was judged as “outstanding” in all areas. We also hold a 5 star rating for food safety from Reading Borough Council. Berkeley Gardens Day Nursery is the second nursery to follow from Forbury Gardens. It opened in July 2011, and is located in Reading. We received a 5 star rating from Reading Borough Council for food safety and a silver award from Chiltern training Ltd for continuous support for our staff training towards their Diplomas in child care. Woodley Gardens Day Nursery opened in 2017. We are set in a large 2 story tudor building, in a quiet residential area in Woodley. 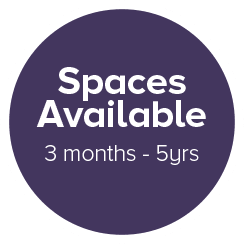 We offer a range of different activities every day and have a secure rear play area with bikes, scooters and a sand pit. If you want to know more, you are welcome to visit and meet our friendly dedicated team.